Freshman, Maria Aveiga prepares to receive a serve from her opponent. Aveiga dominated the number two spot, 6-4 and 6-3. 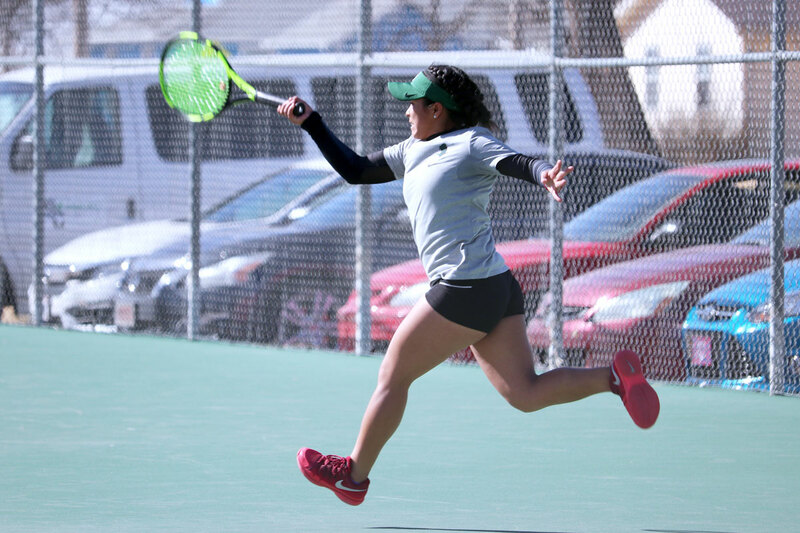 Both the Saints and Lady Saints tennis teams defeated their opponent, Southeastern Oklahoma State on Wednesday, March 6. The Lady Saints won by a score of 5-1, making them 7-2 overall this season. The Saints defeated Southeastern Oklahoma 8-1, making them 10-1 overall and undefeated in conference play. 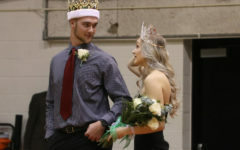 Both teams will play Cowley College and Hesston College on Thursday and Saturday to finish off their home games for the season. Freshman, Nicolas Rousset, prepares to hit a ball back to his opponent. 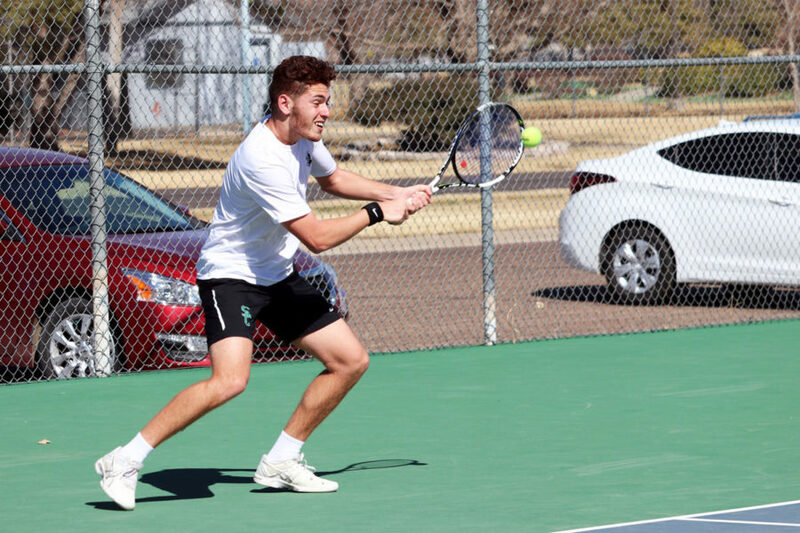 Rousset took a hard loss to former Saint player, Carlos Anez, in the number one spot by two scores of 4-6. 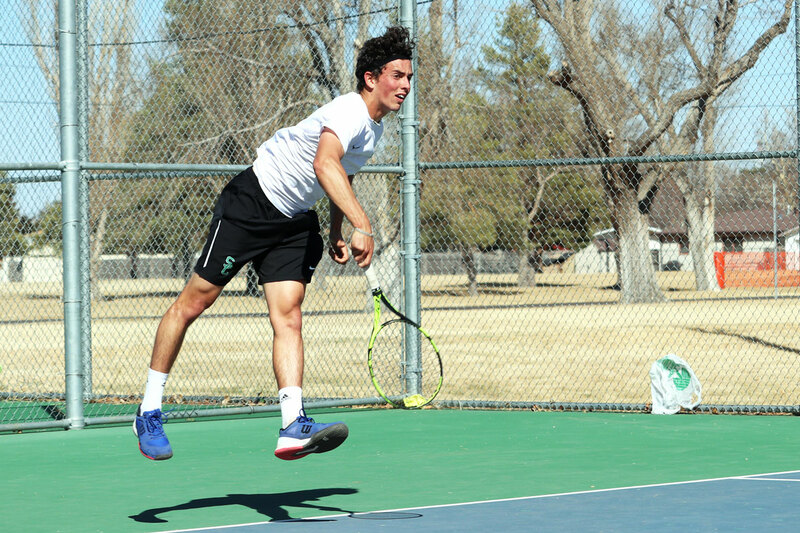 Freshman, Franck Soulerot, serves a ball to his Southeastern Oklahoma opponent. Soulerot won the number six spot with scores of 6-4, 6-1. 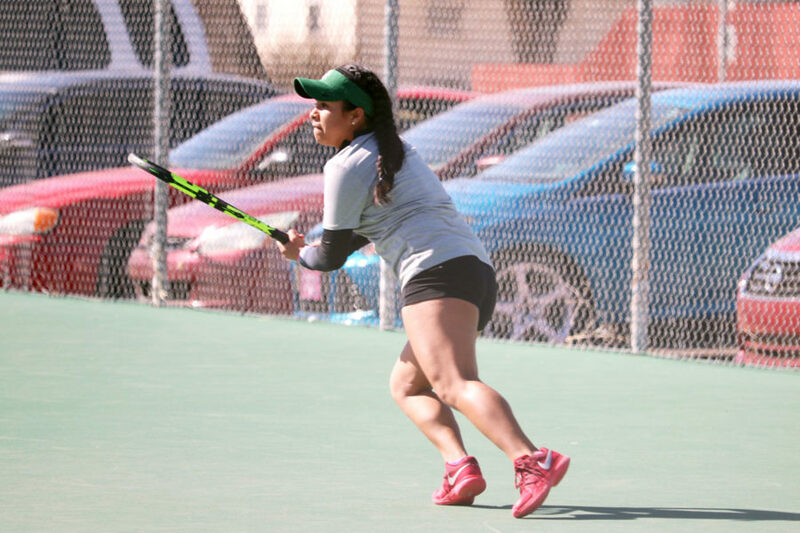 Sophomore, Steffany Bermudez, hits a ball to a Southeastern Oklahoma opponent. Bermudez lost in the number four spot by scores of 5-7 and 1-6. 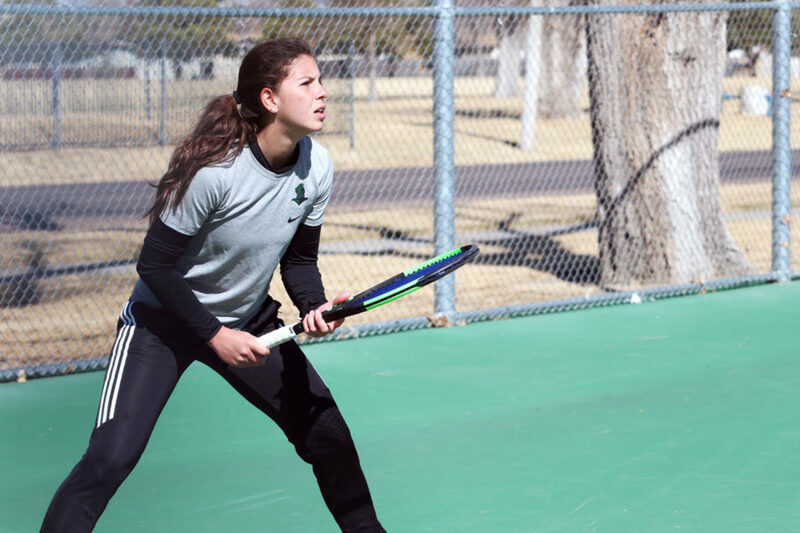 Freshman, Patricia Panta, goes after a ball during her singles match versus Southeastern Oklahoma State. Panta beat her opponent by in the number one spot by scores 6-3 and 6-2. Freshman, Patricia Panta, prepares to receive a serve from her opponent. 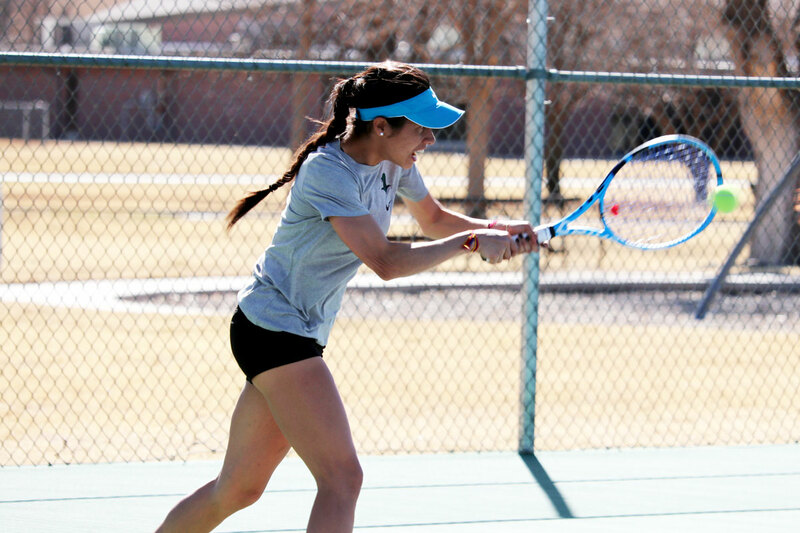 Panta and her teammate, Bermudez, took the number one spot in doubles play by a score of 8-0.